New wave music was popular in the 1980's, my college years, and I loved it. You'll find several new wave songs featured on my Music Monday posts, including: "I Melt With You" (Modern English), "Be Near Me" (ABC), and "Bizarre Love Triangle" (New Order). 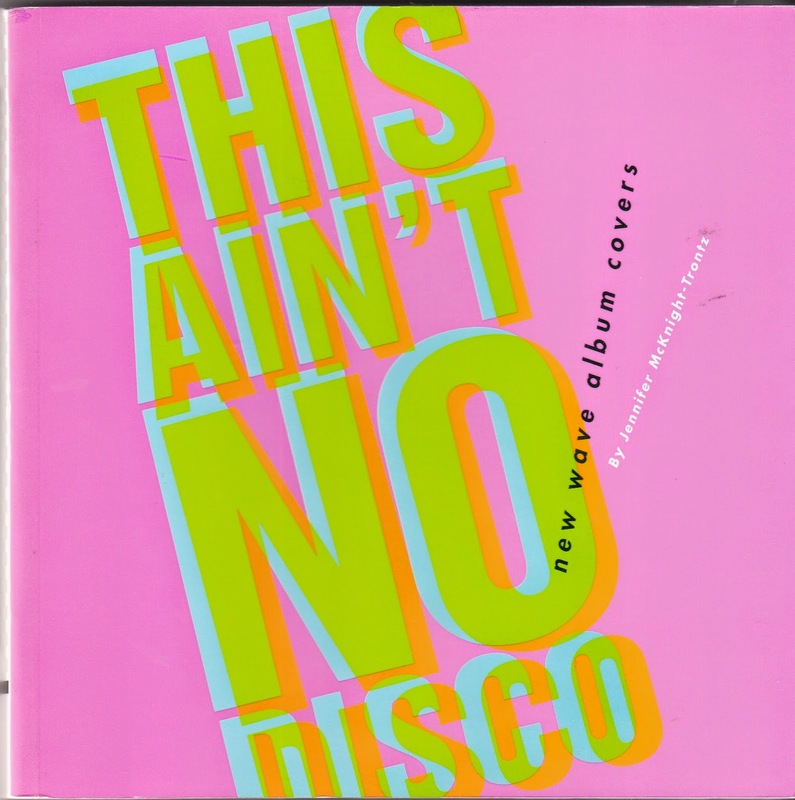 I am giving away a copy of This Ain't No Disco: New Wave Album Covers (published 2005, Chronicle Books) by Jennifer McKnight-Trontz. 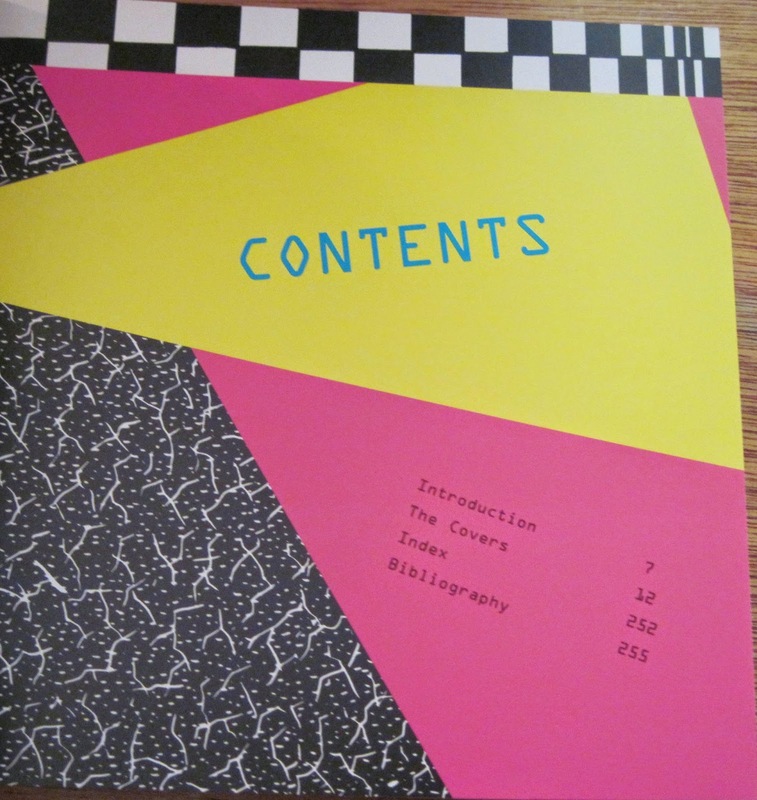 This is a fun book with lots of music memories from the 1980's. It is in good used condition. This giveaway will run through Thursday, September 18 at midnight. I will draw a winner on Friday, September 19. The winner will need to respond to email within 2 days. This giveaway is U.S. only. (1) Your email - comments without an email address will not be published, and will not be eligible for the drawing. (2) Your favorite new wave song - you will find lots of choices at the links above. CONGRATULATIONS to giveaway winner, Susan S.! Soooo hard to choose just one! But I guess I've got to say that Private Idaho or Planet Claire by the B-52s would be at the top of the list. Along with Gary Newman's 'Cars'. And Once in a Lifetime or Life During Wartime by the Talking Heads. Oh...but at the top would probably be The Smiths' "How Soon Is Now"! Aaahhh....so many GREAT songs to choose from! Oh ... this is SO my type of music, it's hard to choose just ONE song. If I have to choose one, it would probably be Josie Cotton's "Johnnie Are You Queer?" -- but only because it appeared in the BEST New Wave movie EVER -- Valley Girl!! 2nd Choice is the B-52's "Rock Lobster"! Hmmm, probably Down Under by Men At Work! Ahhhhhh....it's so hard to choose just one!!! "Wishing (If I had a Photograph of You)" by A Flock of Seagulls is one of them. i melt with you is my favorite, i turn it up when it comes on the radio. 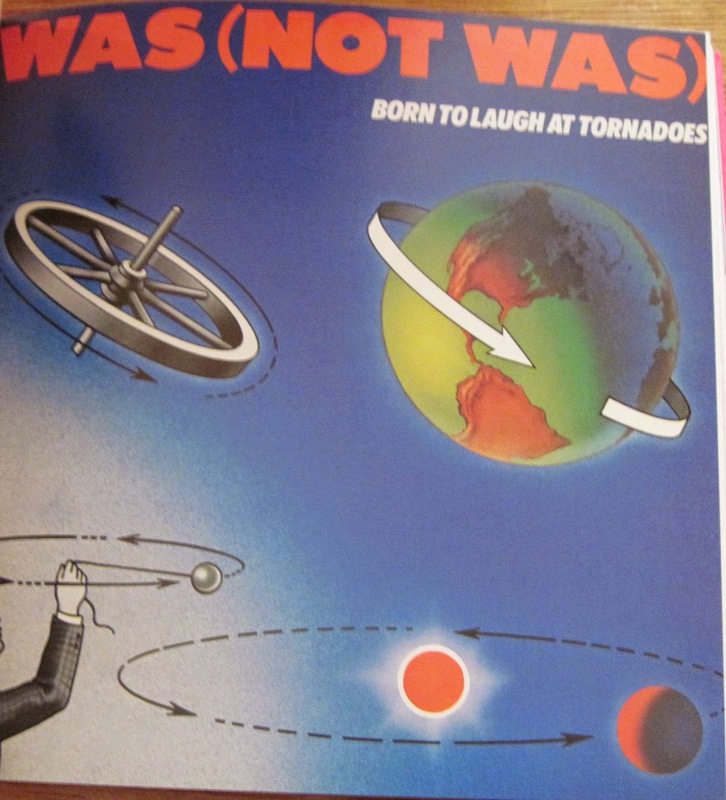 I hadn't thought of New Wave music in a long time though I, too, was a student in the 1980s. Thanks for the reminder, LOL! I'm listening to the song and watching the video, which I do not remember ever having seen before, right now via Youtube. The Plimsouls' "Million Miles Away", because it gives me such a dreamy feeling. It's a magical song. My favorite is: Everybody Wants to Rule the World by Tears for Fears. THIS TOWN by the Go Gos! Best New Wave song ever! Oh man,how do I narrow it down to one?! I love all things new wave/80's.One of my very favorites though is "whisper to a scream" by the icicle works. courtafi2138 at gmail dot com. i love the 80's music Bananarama Cruel Summer is a great song!!!! Culture Club Karma Camelion another great song!! There are so many songs on that list of 100 that I love! For the sake of picking, I am going to go with "People Are People" by Depeche Mode.